Happy Birthday Steve Ditko! – All of My Issues! Happy Birthday to comic great, Steve Ditko! This Friday we get to see one of your creations come to life . . . 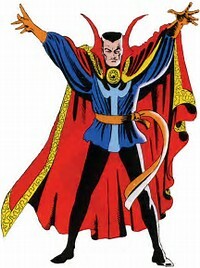 The Sorcerer Supreme Himself . . . Doctor Strange! Check out the Doctor Strange: Marvel Masterworks Vol. 1 (Strange Tales (1951-1968)) to get up to speed on the character. Learn more about his origins and the character’s history before the movie is released.